Encompass is an education, training and employability service for people in Edinburgh living with complex needs. It helps people furthest removed from the labour market to build their skills, gain access to opportunities and, where appropriate, move into employment. The programme offers one-to-one casework support, so that participants can establish a positive, consistent relationship with one worker. Participants work through personal development action plans with their caseworkers. Progress is regularly reviewed to ensure that they are getting the maximum benefit. All support and training is delivered in a safe and supportive environment. Encompass offers bespoke, skill-based training delivered in outreach locations and via AI’s in-house community college. It also offers a wide range of employability opportunities, including supportive work placements and volunteering. Participants gain qualifications in core communication and employability skills. Encompass helps the following key groups: those in recovery from substance misuse, those moving on from past offending behaviours, and those affected by homelessness. It is for people living in the Edinburgh area. Encompass is not time limited, as we understand the complex challenges participants face and work around their changing needs. Encompass offers the opportunity for participants to gain a positive learning experience and to gain skills and qualifications that will enable them to make progress in education, further training or employment. 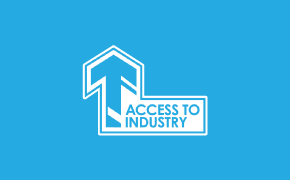 Encompass is delivered through Access to Industry’s Community College (in partnership with Edinburgh College). This is based at 156 Cowgate in Edinburgh. The service is also delivered in outreach locations. This enables people who are not yet ready to attend the Community College to start their Encompass journey.